A longtime friend who handles publicity for a number of golf equipment companies called to say he had just taken on a putter company and would like me to test their product. But since my friend had asked I readily agreed to include the MLA Golf Tour XDream in the rota of clubs for the “Ten Rounds with…” series. First of all the putter’s most obvious feature is the also the one that separates it from the rather crowded field of flat sticks, namely the alignment aid on the top of the putter head. This large white flattened horseshoe is distinctive in shape, prominent in appearance, visually striking and meant to aid our brain to correctly perceive the proper line of a putt. According to the company which is based in Switzerland, MLA stands for Multiple Line-detector Activation and the clubhead pattern is the result of working with Dr. Lennart Hagman, Ph.D. who has made extensive studies over 20 years of the brain’s perceptual process. There’s a much longer and more complete explanation of why they think the white horseshoe works but of course the proof is in the putting. In a nutshell, I used the Tour XDream for ten rounds on greens from Florida to Alabama and believe it did help me to line up putts particularly breaking left to righters, which for a right-handed player are the most trying. Feel was excellent and distance control never a problem even on very fast surfaces. The milled 375 gram head has two changeable weights in the sole and three more are included. Putting a 5-gram weight in both the heel and toe positions made the head face balanced, my preferred weight configuration. The stock grip is a Forward brand model designed with extra thickness under the flat top of the grip where the left palm sits in a normal placement of the hands. As a result the wrists arch slightly which facilitates the modern shoulder, big muscle stroke. 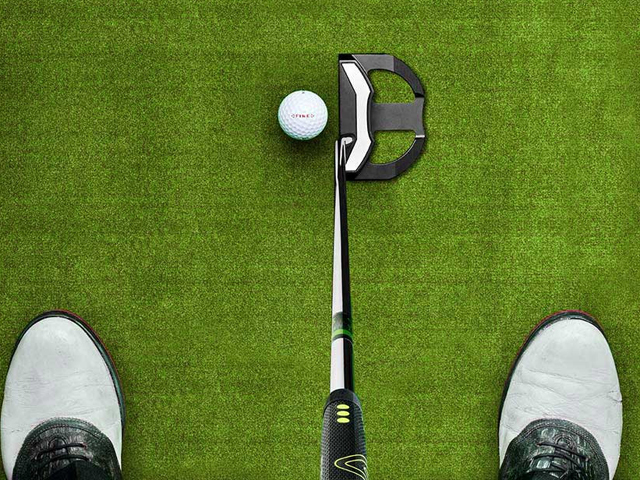 Negatives: The flattened horseshoe alignment aid took some getting used to and in fact several of the players who tried the Tour XDream felt a smaller, blade style head would be better. MLA does make several blade models which we did not test. 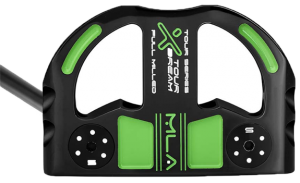 Also at 375 grams the Tour XDream is at the upper end of what might be considered ideal weight range for typical green speeds. 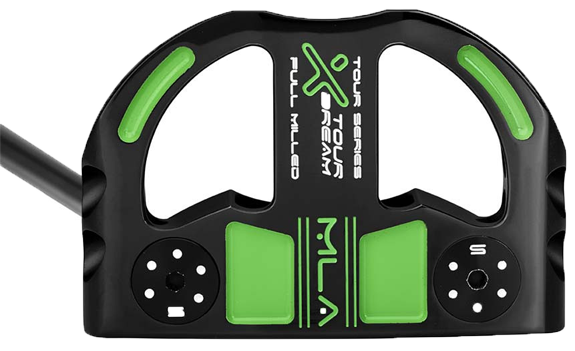 Recommendation: The MLA Tour XDream is a solid, efficient putter and if you like the looks of the unique crown alignment aid it could be a very good choice. The price is $299 at their site MLA.golf if you want to purchase or for complete technical details.